Novel and chemotherapy-free approaches will likely become the future of mantle cell lymphoma (MCL) management, even in previously untreated patients, according to Jonathon B. Cohen, MD. The combination of lenalidomide (Revlimid) and rituximab (Rituxan) has already demonstrated clinical activity versus chemotherapy in this setting. In the multicenter, phase II RELEVANCE study, patients treated with the combination were able to achieve minimal residual disease (MRD) negativity with durable responses beyond 4 years. Initial results of this study demonstrated an overall response rate of 92%, with 64% of these patients achieving complete responses. Lenalidomide was administered at 20 mg daily on days 1 to 21 of a 28-day cycle for 12 cycles of induction, followed by dose reductions to 15 mg daily during maintenance. The standard dose of rituximab was given 4 times a week during cycle 1, then once weekly during every other cycle. Treatment continued until progression, with an option to discontinue therapy after 3 years. In total, 38 patients were included in the induction phase, with 33 patients who remained on maintenance therapy. Five-year follow-up findings of this trial, which were presented at the 2017 ASH Annual Meeting, showed that 22 (61%) of the 36 patients evaluated remained in remission at the time of data presentation, including 13 patients (36%) beyond 5 years. Nineteen patients remain on treatment, with 3 discontinuing therapy after 3 years. Median progression-free survival (PFS) and duration of response had not been reached at time of report. The 3- and 4-year PFS rates were 80.3% (95% CI, 63.0%-90.1%) and 69.7% (95% CI, 50.6%-82.6%), respectively. The 3- and 4-year overall survival rates were 91.9% (95% CI, 76.9%-97.3%) and 82.6% (95% CI, 65.3%-91.9%), respectively. The first- and second-generation BTK inhibitors ibrutinib (Imbruvica) and acalabrutinib (Calquence) have impacted the relapsed/refractory space and are both FDA approved for patients who have progressed on at least 1 prior therapy. Ongoing work is looking at moving these potent agents to an earlier setting; however, there are concerns with toxicity, Cohen explained. 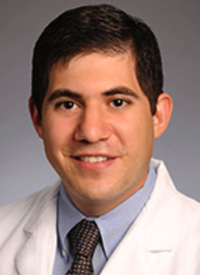 In an interview with OncLive, Cohen, an assistant professor of Medicine at Emory University School of Medicine and Winship Cancer Institute, discussed the evolving MCL landscape. OncLive: What are some challenges with treating patients with MCL? Cohen: What we are finding with MCL is that it really is a number of different diseases; it has a bunch of different behaviors. A physician may see a patient with MCL once or twice a year, and those patients may have radically different presentations and clinical behaviors. As we learn more about the biology of MCL, it makes it more challenging to figure out the best treatment. What we used to do is decide if someone could tolerate intensive therapy. If they could, then they received high-dose therapy. We are learning now that there are some subtypes of MCL where intensive therapy simply does not work, and there are some subtypes that typically behave indolently. Is a combination approach beneficial in this space? There is a lot of interest in incorporating novel treatment strategies. There is the potential to even get rid of frontline chemotherapy. We have pretty mature data suggesting that lenalidomide with rituximab leads to pretty long remissions in patients. These patients may need to stay on therapy for a long time, but they do well. The right combination could become the future of this disease. Cytarabine-based chemotherapy is a traditionally important drug, but it is toxic. Do BTK inhibitors have potential in the frontline setting? This is something we are all hoping to find out soon. There have been a number of ongoing studies investigating this. It definitely looks promising, but one of the challenges we are seeing is that most patients with MCL will ultimately progress. Ibrutinib alone is unlikely to be a frontline answer, but I think we can find the right novel approach. Does CAR T-cell therapy have potential in MCL? Anecdotally, we have had patients at our center do well on CAR T cells. Like other lymphoma subtypes, the challenge is determining where it fits into the treatment algorithm. For aggressive lymphomas, it is a little easier because we do not have as many novel approaches to choose from. In MCL, there are a number of available drugs that do not require the intensive approach that CAR T cells require. However, it is an interesting field. Are there any other treatment strategies in MCL that could have potential? We are exploring novel, chemotherapy-free approaches. These are being tested in the relapsed setting, but they have some potential in the frontline setting. The goal is to prolong remission in these patients. Ruan J, Martin P, Christos P, et al. Initial treatment with lenalidomide plus rituximab for mantle cell lymphoma: 5-year follow-up and correlative analysis from a multi-center phase II study. Blood. 2017:130(1):154.